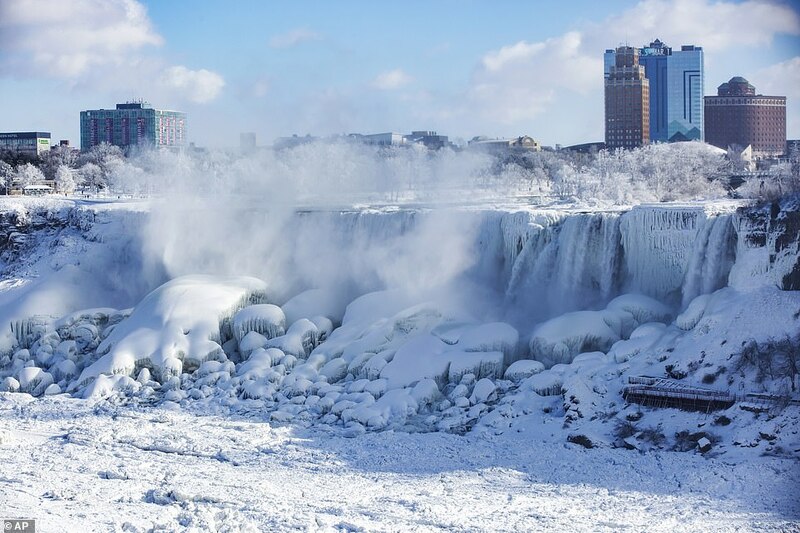 As the extreme cold snap continues to take a heavy toll on much of the United States of America, Niagara Falls has now partially frozen over as a result of the hugely sub-zero temperatures. 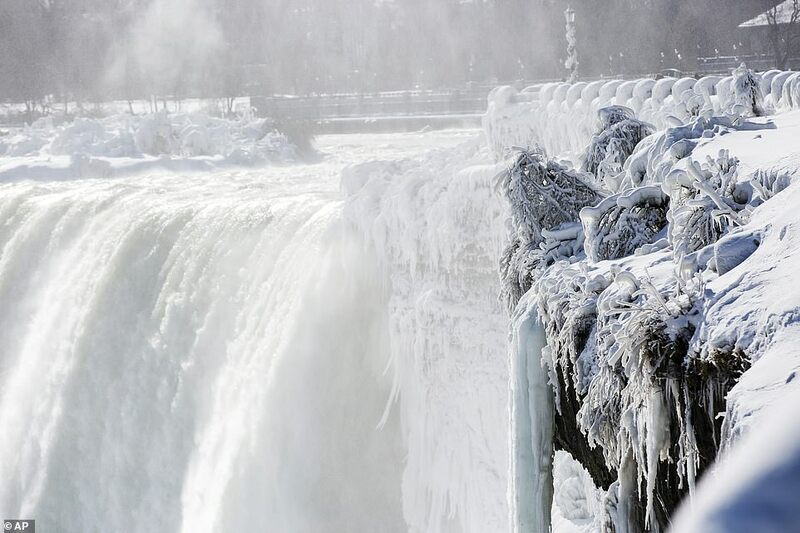 Amazing photos show the waterfalls, which straddle the USA/Canada border, turned into an enchanting - if slightly eerie - natural phenomenon on Thursday. 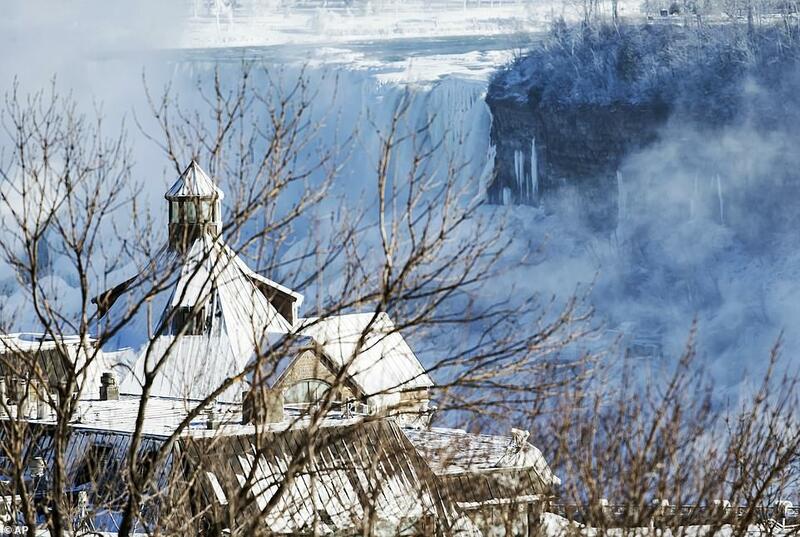 Of course, the temperatures near to the falls in Ontario aren't as low as it has been in Chicago and Minnesota. It's been seriously cold there. However, it has been down at around -4C and that's still pretty chilly by anyone's standards. 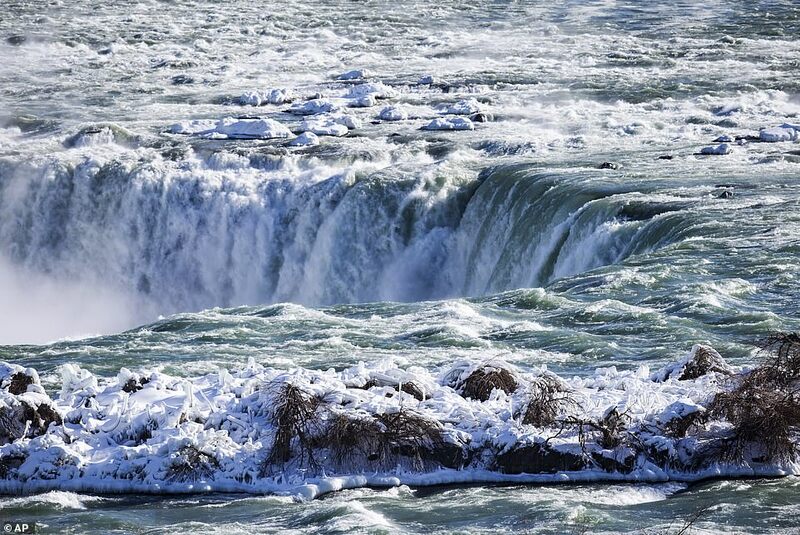 On top of the icy formations left as the frozen water cascades over the top of the falls, steam can be seen rising from the river. This is because the water in the river is actually warmer than the air surrounding it. Despite the fact that it looks completely frozen over in parts, the water never really stops moving. This phenomenon in itself is not an isolated event, after all, in these parts of the USA and Canada it ain't exactly unusual to see sub-zero temperatures at this time of the year. However, when it gets extreme - like in the polar vortex conditions of 2014 and 2014 - the results are truly stunning. 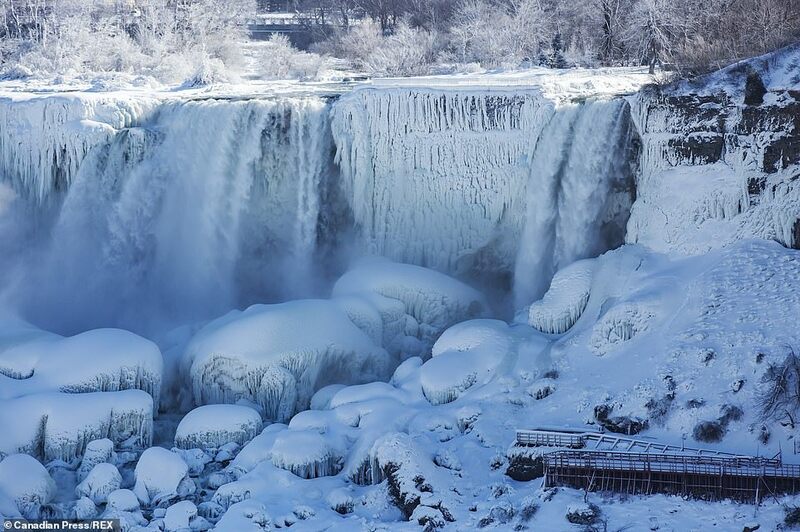 At the beginning of January, the falls froze once again, and photographers rushed to take their shots. It's a good job they did. Have a look at some of these. To be fair, if it is ice you're looking for, the North East and Midwest of the USA are the place to be right now. 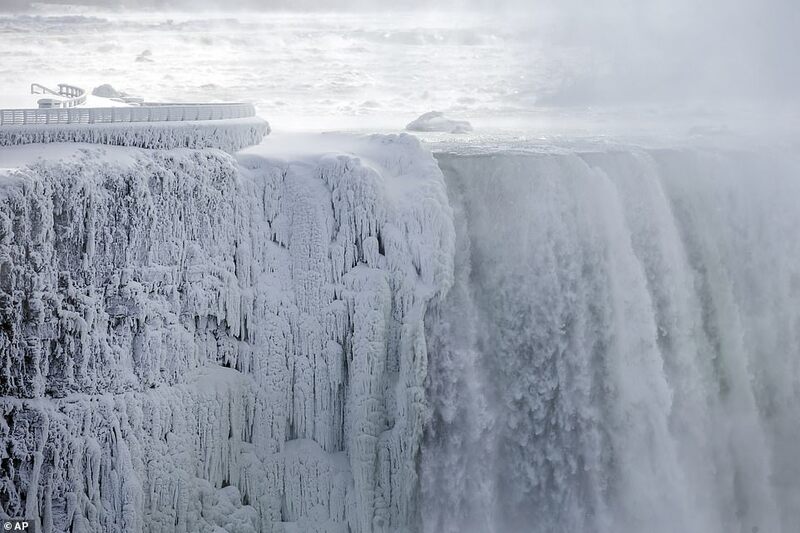 Just yesterday some remarkable shots emerged that show Lake Michigan - one of the largest lakes in the world - frozen over. It's been so cold in that part of the world that forecasters have warned people to cover their faces and avoid breathing deeply or talking outside. The National Weather Service said that this was 'to protect your lungs from severely cold air'. The mercury got down to -17C in Chicago earlier this week. That meant that the coldest day in 150 years was recorded in the city. Naturally, this is all very concerning for residents, people who travel, and people who straight up don't want to be stuck outside in the freezing cold. Flights have been grounded across large portions of the USA and there is concern for those who live on their own or are vulnerable. The other day, meteorologist Brian Hurley told MailOnline: "If you live up in the Arctic Circle, you'd say this is pretty normal. When it's actually brought down to this level, that's when you know it's something serious." Stay warm out there, everyone. If you have to go out, bring a camera.